Ready to go out and buy a Nexus 6, the newest flagship phone from Google? Then you are probably wondering when and where you can do that at, I would imagine. November 12 has basically become the official launch date at this point, but that doesn’t mean that every single carrier or store will have the phone at that time. So, since tomorrow is the 12th, we thought a handy little list of stores, carriers, and availability at each would help you decide where you can focus your efforts. Each time that Google has re-stocked the Nexus 6 on Google Play, they sold out within minutes. They told us to expect regular re-stocks on Wednesdays, though, so if you want to purchase the phone directly from Google, be prepared to refresh the Play store listings below at around 10AM Pacific on hump day. At least that’s when the first two batches of inventory became available. Google Play is probably going to be your best bet for securing either a white or 64GB model of the Nexus 6. However, carriers seem to be ready to sell the 32GB Midnight Blue model this week. Google is currently only allowing customers to pre-order the device, with expected ship dates in late November. Keep in mind that Google is selling the device without a contract on Google Play, so you will pay $649 for the 32GB or $699 for the 64GB model in either color. The phone is unlocked and should work on almost any major carrier in the US. Google will eventually expand Google Play availability to another 12 countries outside of the US. Motorola opened up pre-orders for the Nexus 6 through their site on November 6, but quickly sold out. They have not said if they will re-stock. They are selling the phone without a contract for $649 (32GB) and $699 (64GB) in either Midnight Blue or Cloud White. Here is Motorola’s Nexus 6 landing page in case you want to sign-up to be notified of future availability. AT&T is opening pre-orders for the phone on November 12. They have not announced device shipping dates or in-store availability. Edit: Pre-orders are live and show a shipping estimate of November 18. The device will run $249 on new 2-year contract or $682.99 with no annual contract. If neither of those options sound appealing, there are three AT&T Next (device payment plan) plans to choose from, all of which require $0 down: Next 24 at $22.77 per month, Next 18 at $28.46 per month, or Next 12 at $34.15 per month. AT&T is only expected to have the 32GB Midnight Blue model available initially. Here is AT&T’s Nexus 6 landing page. Sprint is only expected to have the 32GB Midnight Blue model available initially. Here is Sprint’s Nexus 6 landing page. 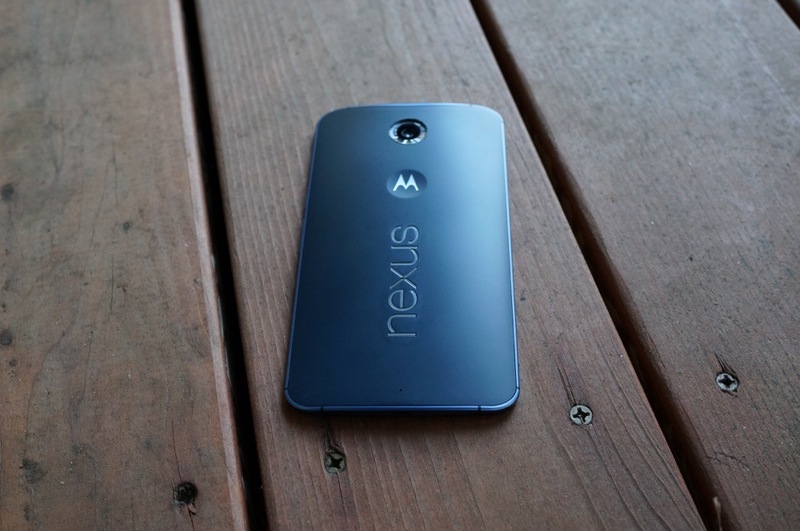 T-Mobile will begin selling the Nexus 6 in stores on November 12. Update 11/11: T-Mobile announced that they have pushed their launch to November 19. The device will be available for $0 down and $27.08 a month for 24 months on a device payment plan. T-Mobile is only expected to have the 32GB Midnight Blue model available initially, with 64GB models arriving shortly (maybe even online only). Here is T-Mobile’s Nexus 6 landing page. US Cellular has confirmed that they will carry the Nexus 6 at some point in November. No other details are currently available. Verizon hasn’t announced a thing. In fact, the only confirmation they have given, has been to us.